Reading the books is the best, but my favourite audio version of The Hobbit is the Nicole Willamson version, though it is abridged. It is regretful that he did not have a chance to do The Lord of the Rings. Cheers, I never Heard of Him! I seem to get more in my head with listening, obviously I'm here because I collect the books and I've read them but there's something about listening, I seem to remember more. 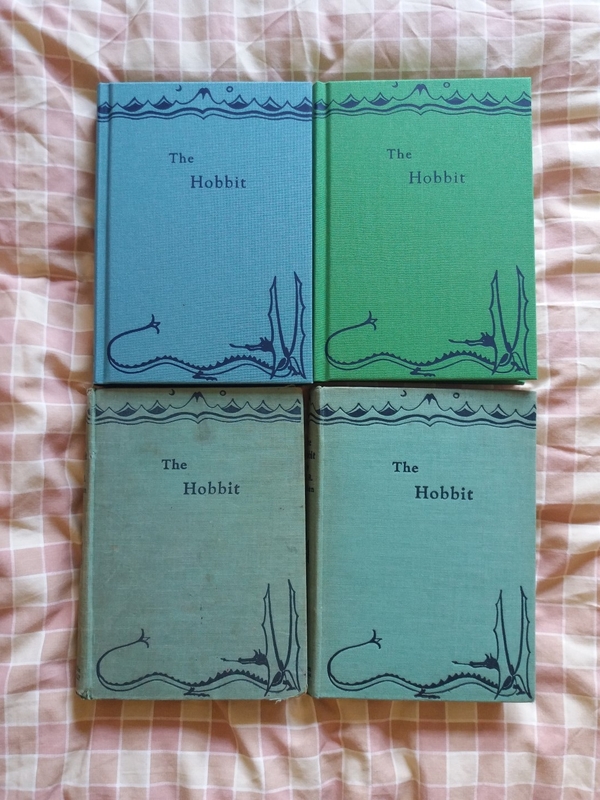 Ahh now I'm glad you mentioned that, you have many copies of the Hobbit, I got a couple of the facsimile one with the cd, one in just the slipcase, however I noticed that the facsimile was larger in size than the rest of my Hobbits, I think my earliest is 1959 but was the 1st edition larger than the later ones? Its great hearing Tolkien read his works, I only wish he'd have done the lot. Maybe CRRT will??? Yes, the UK 1st/1st and 1st/2nd impressions were larger than later UK Hobbits, up until 1975. After 1975 they were resized to be the same size as The Lord of the Rings. Ah that's interesting. I have the pre and post 1975 but never had the good fortune to see or hold the 1st/1st or 1st/2nd. So is the facsimile the same size as the 1st/1st? I love the way the facsimile feels, real cloth bound, pages stained green, its a nice edition, especially with the riddles in the dark chapter, the cd is a nice touch, especially if you have an affinity for audio books as I do. Also i think it depends on the narrator. Yes, It is also the same size as the 1st/2nd. You can see a comparison here of my copies, the two top editions are the facsimile editions, original and deluxe and the bottom two are the 1st/1st and 1st/2nd UK editions. No I didn't think you did, would be good though, or Oxfam haha. I think people are too clued up now. They are so scarce, I have no Idea how i'd find one, but the facsimile is good for now.